Steps to becoming a smart city will inevitably involve a combination of technologies – but these are the means rather than the end. The core purpose for any progressive city is to have a thriving population with an enhanced quality of life for all. Putting people at the heart of our future cities is critical for their success. Develop a holistic strategy – The keystone for success for a smart city is a shared vision and comprehensive growth strategy. This needs to incorporate the multiple stakeholders and organisations across the public, private and third sectors, and be underpinned by strong, clear governance. Tackle societal challenges – It is important to address their citizens’ needs to provide a high degree of livability. That covers employment opportunities, health, housing, leisure, education, mobility, connectivity and more. All while tackling challenges around environmental, social and economic sustainability. Include an underlying social inclusion agenda – Social exclusion and inequality are among the biggest issues facing our cities. Whether the problems are related to financial exclusion, or access to employment, transport or digital connectivity, a successful smart future must help address them. Reducing inequality and deprivation can itself drive growth according to a report by the Inclusive Growth Commission. Make it easy to embrace digital innovation – Advances in technology are opening up opportunities to tackle social and environmental challenges. To capitalise on them, smart cities will actively embrace innovation, necessitating them working in new structures and business models. Develop an iconic brand – Every successful place needs to have a distinctive offer for residents, business and investors, and a credible vision for why it’s unique. This could be a keystone asset such as an educational institution or industry cluster. When this works well, a city attracts, trains and retains world class talent, as well as nurturing its own residents’ talents, thereby encouraging aspiration. Prioritise transport as a vital enabler and underpinner –While any smart future encompasses many areas of people’s lives, the ability to move around easily and cost-effectively is a vital enabler of all the other benefits. That’s why our debates – and this report – have focused particularly on transport. 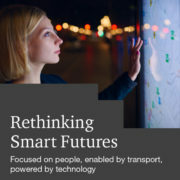 The report was created by PwC in collaboration with the London Transport Museum, Thales and Gowling WLG. 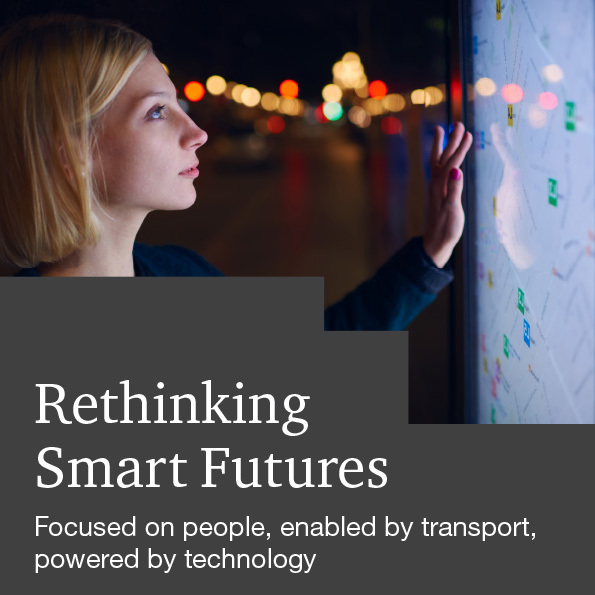 Download the report “Rethinking Smart Futures: Focused on people, enabled by transport, powered by technology”.